Sunpak heaters are simple to operate and use draft free and highly energy efficient infrared radiant energy just like the sun’s warming rays. 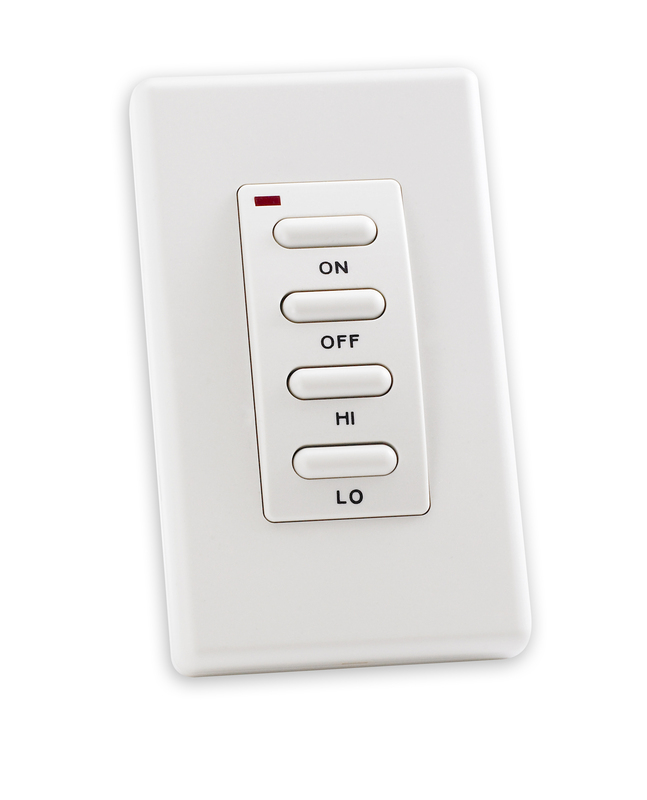 Models come in 25,000 BTU or 34,000 BTU output. Our new SUNPAK® S34 B TSR and S34 S TSR add the convenience of a two stage 25,000 to 34,000 BTU adjustable output all controlled with a wireless hand held remote control and wall control with “ON / OFF / HIGH / LOW features. A beautiful addtion that will bring comfort to any outdoor event. 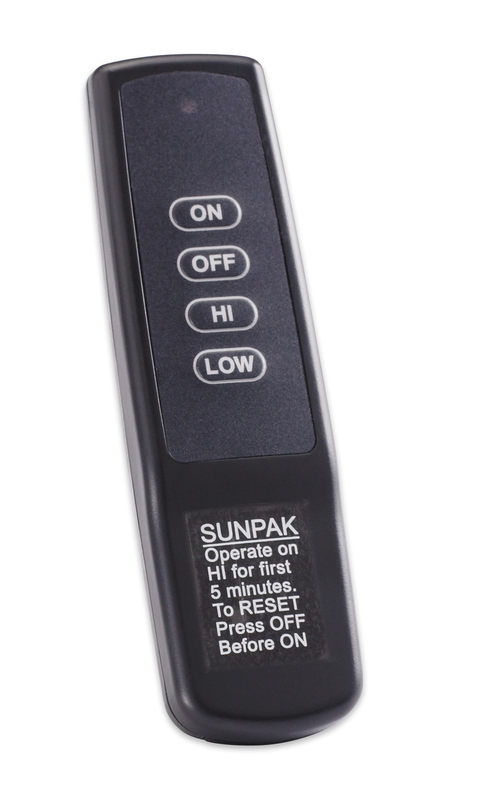 SUNPAK® S34 B TSR (#12023) has atwo stage output 34,000 to 25,000 BTU controlled with a hand held remote or wireless wall control with “ON-OFF-HIGH-LOW” capability. All SUNPAK® heaters are CSA Design Certified and are equipped for clean burning, cost effective, and highly efficient natural gas or propane fuels. Sunpak® infrared heaters can be both wall or ceiling mounted. Infrared heaters utilize a unique heating system that warms your guests like the sun; the SUNPAK® S34 B TSR was designed with multiple BTU options in order to give you the flexibility to warm your guests on a low or high setting. Sunpak® heaters are unvented and need a continuous supply of fresh air and proper ventilation to operate safely. This heater is not to be used inside residences and other confined areas where the operational and safety requirements of this heater cannot be met. Sunpak® infrared heaters are crafted with a slim profile which works well in a variety of patio settings. SUNPAK® Model S25 (#12001) heater is simple to operate and uses draft free and highly energy efficient infrared radiant energy just like the sun’s warming rays. SUNPAK® heaters warm object rather than trying to inefficiently heat the air. Each heater will heat about 10′ x 10′ area depending on wind conditions. SUNPAK® heaters have been installed world-wide in thousands of premium residential and commercial installations. The Sunpak® Models S25 is an outdoor infrared heater available to be used with natural or propane gas. These heaters can be either wall or ceiling mounted.Infrared heaters utilize a unique heating system that warms your guests like the sun. Sunpak® heaters are specifically designed to provide heated comfort in an outdoor environment; the Model S25 has been used both in residential and commercial outdoor patios across the United States for years. Sunpak® heaters are unvented need a continuous supply of fresh air and proper ventilation to operate safely. This heater is not to be used inside residences and other confined areas where the operational and safety requirements of this heater cannot be met. The Sunpak® Model S25 was crafted with a slim profile which works well in a variety of patio settings. The effectiveness of your Sunpak® infrared heater will depend upon the wind velocity and air temperature primarily. We provide both black and Stainless Steel Sunpak® infrared heaters for your convenience.